Memorizing your monologue is not always fun or easy. Learning your lines for some is a no brainer, for others, it feels like a torture chamber experience. It doesn’t have to be so heavy. 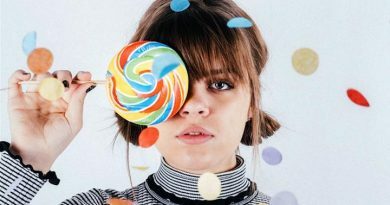 For those of you who would like to avoid the Monologue Grim Reaper, here are 3 Tips that will help you avoid the sharp scythe. Do a physical activity like washing the dishes or shooting hoops or cleaning your bedroom. While you are in physical motion go over your lines. Keep the text nearby so whenever you drop a line you can quickly refer to the monologue. It’s a good idea to avoid straining to remember your words. The point of this exercise is to begin learning your lines without giving it much thought. This exercise will also free you up with your behavior and will give you additional ease of expression physically. Acting is about behavior. The more lucid and less constricted you are physically, the more fully you will be able to express yourself. It’s a circular affect. Less tension will increase sharper concentration, sharper concentration will increase relaxation. Play around with your monologue. Don’t give it any importance whatsoever. As fast as you can, as slow as you can. Try speaking your monologue in a funny voice. Say your lines in a robotic way. By caring less about the words you will find that when you do in fact place your attention on what it is you are saying, there will be a more fundamental organic reach for you within yourself. You will be less self-conscious. You will also actually remember your monologue lines because you will have learned them subconsciously, rather than mechanically. The goal is to not have to remember your lines. They will rise to the surface when you have something to say on their own. This way, you keep the material fresh and don’t get caught up with a repetitive way of saying your lines. You will want to avoid the hidden trap of learning your lines but accidentally having a preconceived way of saying them. This happens because of line drills. The more you drill your lines to be off book, the more risk you take in having a certain way of saying a line or word. The idea of using different voices or tempo-rhythms to learn your lines will help you skip this problem if it finds you. Write out your monologue a bunch of times. Do it often and it will slowly seep into your memory. 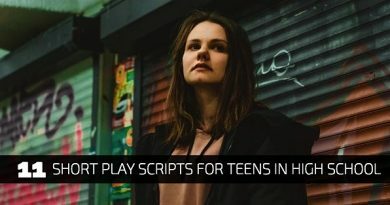 There isn’t much technique to writing out your monologue other than just to simply write it out. It will help because it is a slower process of digesting the words and sentences. You may even find yourself thinking over certain parts of the monologue because of this slower process and that’s a good thing. You can use any one of the three exercises intermittently of one another. Jump around between all three if you like. Try to avoid recording yourself and listening back. 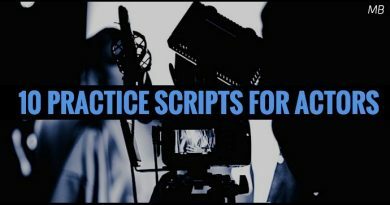 This can lead you to a planned delivery because not only will you be learning your lines, you will be learning how to say them and this should be avoided. The way you say your lines will come out of you the way that they will come out of you in the moment as you express them. Having them planned is a mechanical way of acting, not a truthful way when living in the moment. Just as we perhaps know in life what we wish to tell someone when we see them, we cannot in fact plan the exact precision of HOW we will talk to them. There are too many elements involved. The atmosphere, the other persons reaction, many other things that will alter and change the way in which you speak. The same certainly applies to acting, doesn’t it? Therefore, rule out a pre-planned way of delivery. 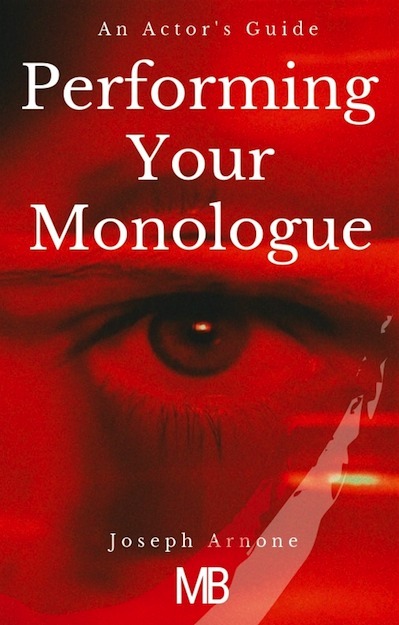 Bring about a sense of physical doing i your work when learning your monologue lines. This frees you up from tension. When it gets hot in the kitchen with your material you will be more available and open in your work rather than tense and stuck. Have fun when learning your lines and mess around with the text. Try different voices and simply play. Play, play, play which is what the enjoyment of acting is all about anyway, right? You won’t get trapped into any mind numbing issues because you will be letting go right from the start. Writing out your monologue is just another way of comprehending and absorbing the text. It gives you a slower processing rate for your creativity and imagination to make considerations.